Lower floor, walk-out suite in character house. A peaceful setting in a safe, quiet neighbourhood; centrally located, close to many amenities, bus routes, UVic and Camosun College. This private, self-contained suite includes heat, hot water, and its own washer/dryer. Room descriptions: both rooms are approximately 11ft x 9 ft with a closet and window. House description: the suite is downstairs in a lively family home with a full kitchen, living room area, two bedrooms which are at separate ends of the suite, and one full bathroom. There is a private entrance, some storage, and in-suite laundry. 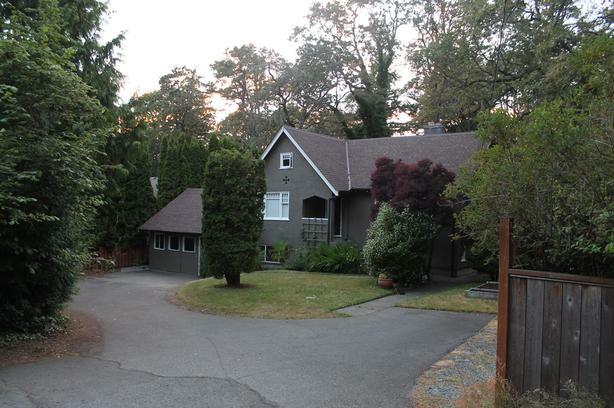 Location: We are in a quiet area of Cedar Hill/Saanich only 2 km from the UVic campus and 2.5 km from the Camosun College Lansdowne campus. There are four direct bus routes (#14, #24, #27, & #28) to downtown Victoria (approx. 20 mins trip). Please email us with any questions or to set up a viewing. In the email we would love to hear a bit about you and what you are looking for.